Blocks away from Union Square, this downtown San Francisco hotel features more than 1,000 luxury rooms and panoramic city views. 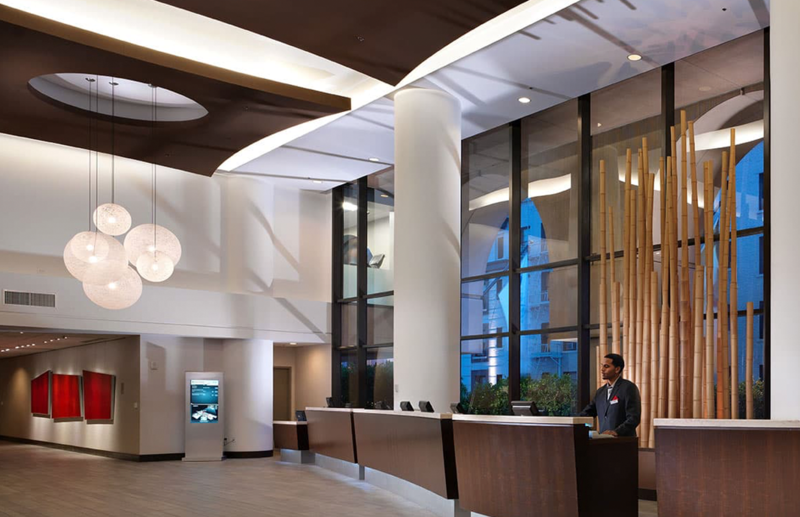 TynanGroup was involved in a full renovation of the property, including 997 guestrooms, 15 suites, 26 guestroom floors, elevators, fitness center, club lounge and 60,000 square feet of public space. In addition, a new restaurant, buffet, bar, new entrances and a porte-cochère were built and 4,000 square feet of open atrium was spanned to create additional floor space. Due to TynanGroup’s expert approach and thorough management, the hotel was able to continue service to guests in the midst of construction.